Nursing students must take classroom theory to real-life practice. That happens during nursing internships. At some point in a nursing education, all the textbooks, lectures, labs, and clinical converge on an internship experience. The nurse’s internship is one of the most important phases of a nursing degree program since it helps to establish the nursing career. Here’s what you can expect. Surprise. No article, video tutorial, or personal conversation can prepare you for the experiences you will face as a nurse intern. Once your education hits the hospital floor, you’re in for a series of surprises-some pleasant, some not so pleasant that will make you into the nurse you need to become. Routine. In spite of the initial surprise phase of your internship, it will likely wear off into routine after a little while. Much of a nurse’s responsibilities revolve around repeat action after repeat action. Just like any other job, there will be routine. Excitement. You’ll learn to savor the routine when excitement hits. Hospitals have high-stress moments, and as a nurse intern, you will be part of those intense events. During the adrenalin rush of an emergency surgery, an ER event, or a baby delivery in the hallway, you’ll learn what preparation, reflexes, and training are really all about. It’s all part of a nursing career. Discovery. The event of a nursing internship, albeit filled with surprise, routine, and excitement will be a time of discovery for you as a nurse in training. The internship is time for you to decide, “Is this what I want to be doing?” As you come into contact with body fluids, get bogged down in paperwork, handle hospital politics, and get tired during a twelve-hour shift, you’re learning about the reality of a nursing career. More importantly, you’re building skills for one of the most important careers on the planet-helping other people. ● You get to work one on one with a nurse - Nurses usually volunteer to be preceptors, and they gladly share their know-how, while promoting a safe space for learning. Anytime there is a learning experience on the unit, preceptors will try to get you involved in some way or allow you to observe. ● At the end of your internship, if you have done well, the nurse preceptor could end up being a great reference for your future job pursuits. ● You will gain confidence in the clinical setting – You will have the opportunity to practice and perfect clinical skills. During my internship, I learned how to use an infusion pump and stayed on the unit until I mastered the skill. Nurse preceptors may even allow you to perform certain procedures that you practiced only in the skills lab. ● You will practice interprofessional collaboration skills - During my internship, I had the opportunity to give a report, join hurdles, and work with physical and occupational therapists and pharmacists. Working with a broader healthcare team has helped me to understand each profession’s roles and responsibilities. 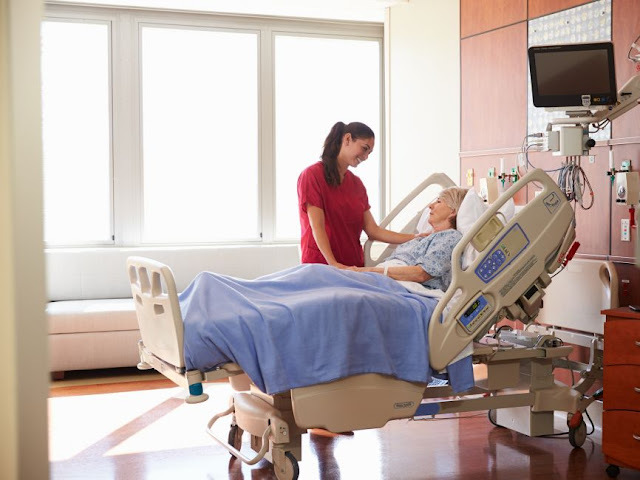 ● It may result in your first nursing job - An internship will, at the very least, allow you to familiarize yourself with the acute care environment. The experience also may help you home in on what specialties and settings interest you. Mostly internship was called a long-term, 357-hour interview. During your internship, your managers, supervisors, and staff will notice your talents and perseverance. They might ask you to come back as soon as you graduate or even work as a nurse’s aide during the school year. Tips for a standout internship application. Given the benefits of an internship, you’ll want to make sure you have plenty to write and brag about on your applications. In your clinical, go above and beyond what is expected of you as a student. Inquire if staff needs assistance or if you can observe during special procedures or patient care. A recommendation from a clinical instructor or nurse preceptor is usually required with an internship application, so make sure your faculty and preceptor are familiar with you and what you’re capable of. Know your strengths and weaknesses in the clinical setting. Be ready to explain the details of your clinical experiences on an application and to answer questions about how your patient care has benefited others or how you overcame difficult situations in the clinical setting. Teamwork in healthcare is essential. When you are being interviewed, you should talk about your clinical experiences as a member of the healthcare team. As a nursing student, it is important that you get involved in your school organization. Participate in community service activities, school improvement committees, school program initiatives or volunteer abroad. And make sure your resume and internship application reflect what you have learned.